All images © Todd Klein. My friend Tim is visiting for a few days, and that means it’s sand sculpture time! You can see many of our past efforts at the Sand Sculpture category on the right column of this blog. 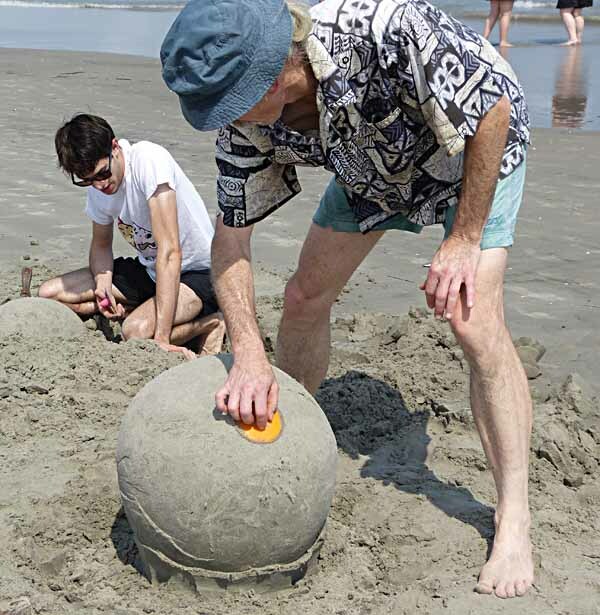 We were at the beach Friday, Saturday and Sunday, and each did a sculpture each day. Above is my pyramid, with Tim’s rather indescribable piece in the background. Most of our sculptures the last few years have been inspired by the incredible ones of Calvin Seibert, examples HERE. 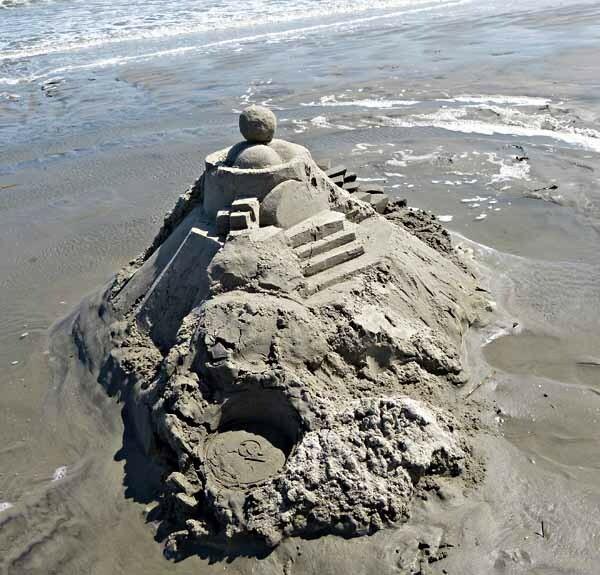 This entry was posted in Sand Sculptures on August 27, 2018 by Todd. 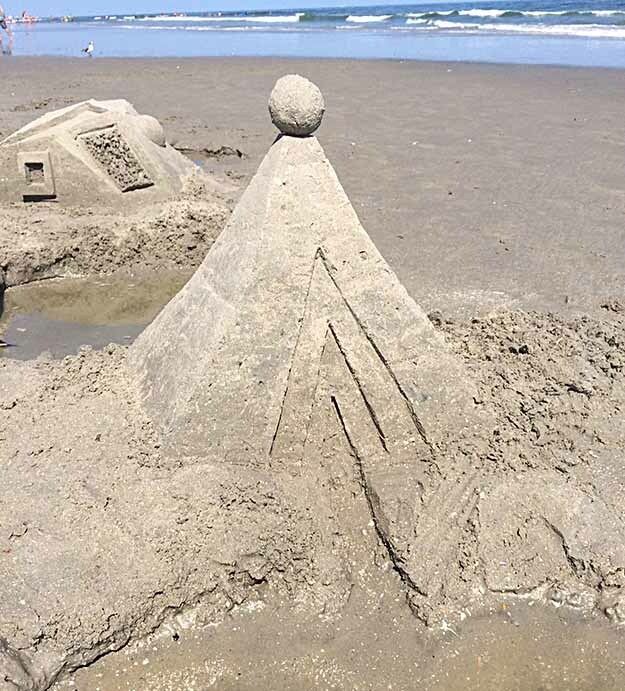 This entry was posted in Family and Friends, Sand Sculptures on August 21, 2017 by Todd. This entry was posted in Sand Sculptures on August 28, 2016 by Todd. Photos by Todd Klein except as noted. 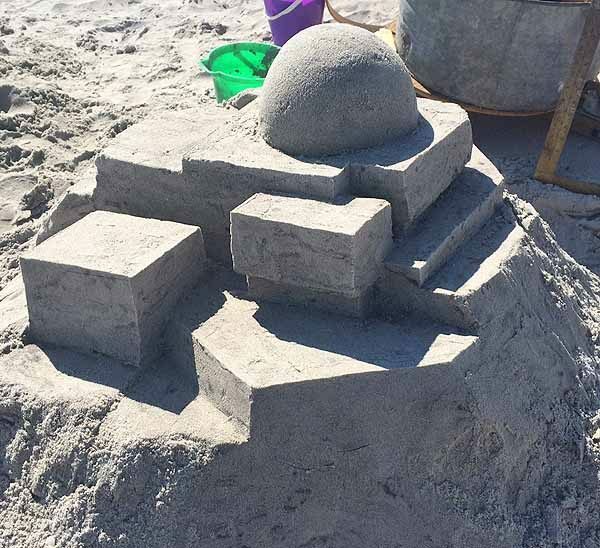 This entry was posted in Holidays, Sand Sculptures on September 6, 2015 by Todd. 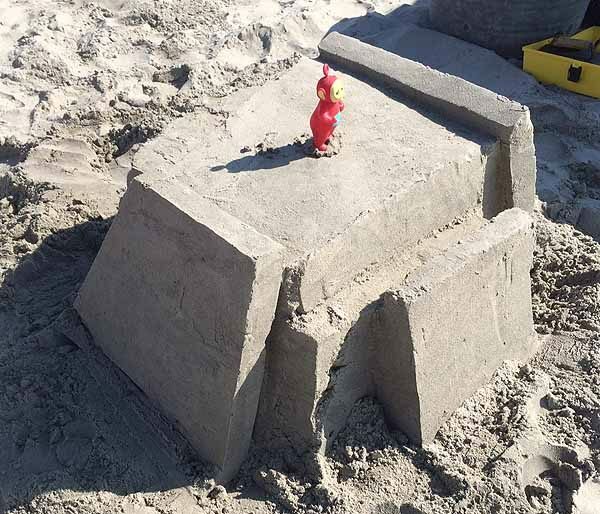 This entry was posted in Family and Friends, Sand Sculptures on August 18, 2014 by Todd.